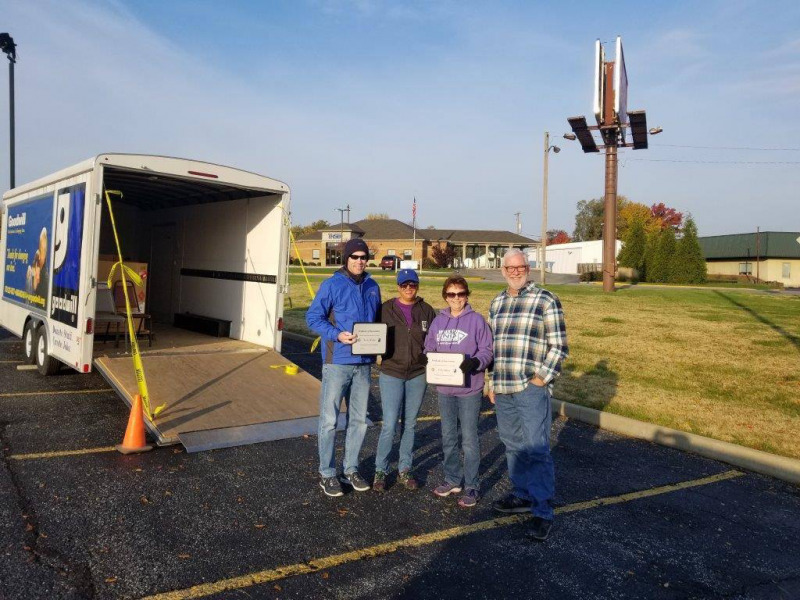 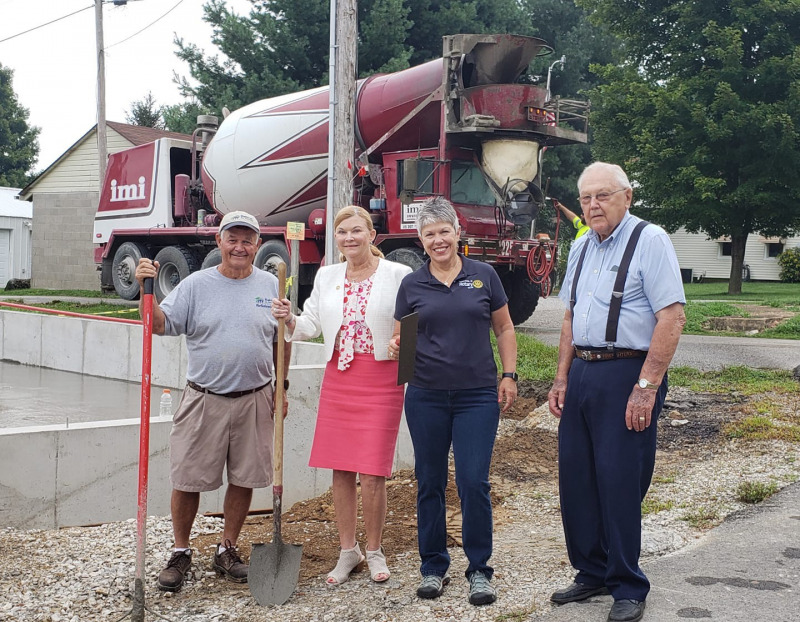 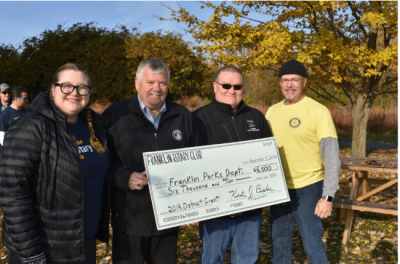 Franklin Rotary partnered with Franklin Parks and Recreation to provide physical and financial help for swing sets installed at the new all-inclusive playground at Blue Heron Park. 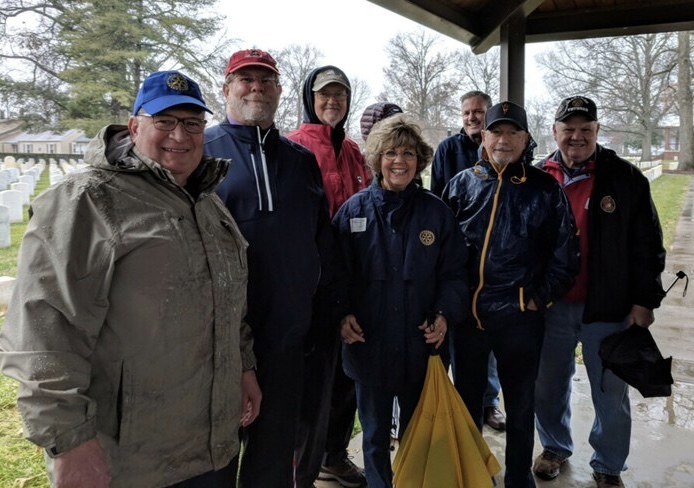 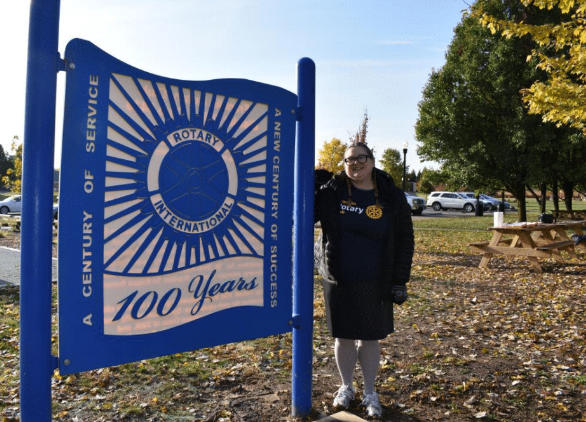 Franklin Rotarians gathered Saturday, November 3, 2018 at the new park to install Rotary-celebratory signage and dedicate grant money to the parks departments. 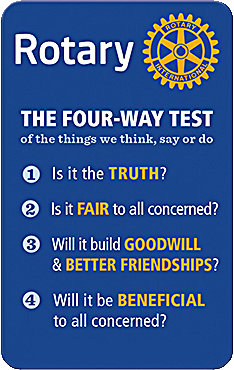 Children must play, learn, and grow together side-by-side. 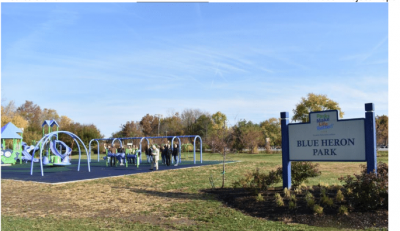 Franklin Parks and Rec envisioned the creation of an all-inclusive play environment that allows all children and their families to play together, regardless of their abilities. 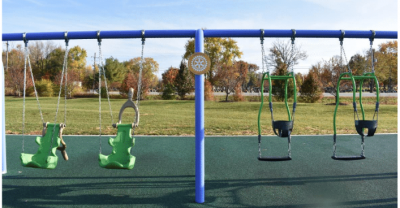 All-inclusive play grounds are thoughtfully and thoroughly designed to provide a safe place where children of all abilities can play together, and are developmentally appropriate for children with and without disabilities. 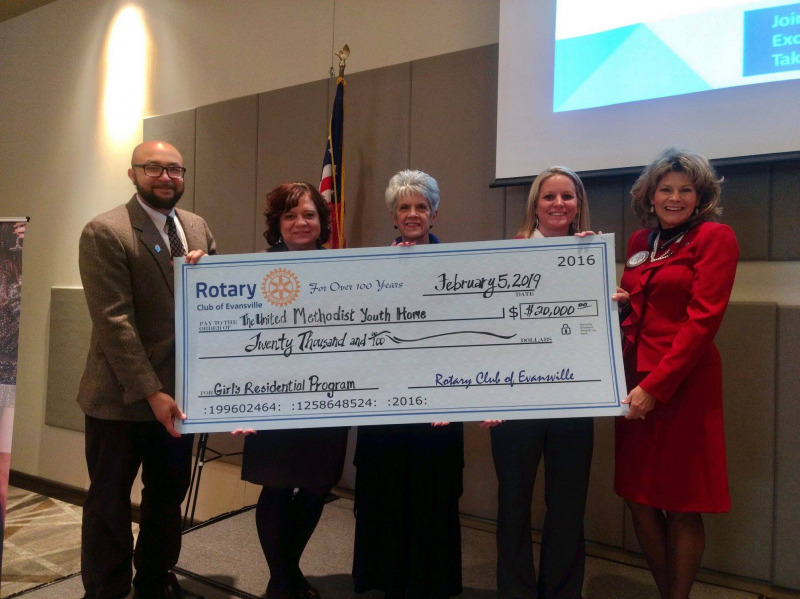 Franklin Rotary dedicated its District Grant project to offer these new swing set styles to the park.